En una calle tranquila de un acogedor pueblo español, entre Valencia y Alicante, se encuentra el KIKOPARK, al lado del puerto deportivo local y junto a una hermosa playa. El pueblo adyacente de Oliva se encuentra al norte de los famosos centros turísticos costeros de la Costa Blanca, Dénia y Jávea. Durante años, esta ha sido una región muy popular, también en los meses de invierno, debido al clima mediterráneo favorable. La recepción divide el camping en dos. A ambos lados se encuentran las aproximadamente 170 parcelas delimitadas con suelo de guijarros. A la izquierda están las parcelas más pequeñas y a la derecha las más grandes. En la parte delantera del camping hay una sección especial para autocaravanas. En algunas parcelas hay una lona estirada que proporciona sombra adicional. Los árboles y arbustos no solo ofrecen sombra natural en todo el camping, también son una bonita decoración. Las parcelas Gran Confort son las que disponen de más sombra. Desde algunas partes del camping se puede escuchar el mar; la playa está a solo unos pocos pasos. Los cómodos apartamentos de alquiler que hay en KIKOPARK tienen vistas al agua. Estando tan cerca de la vibrante ciudad de Valencia, no puede faltar hacerle una visita. Sin duda, un lugar interesante es la futurista Ciudad de las Artes y las Ciencias. ¡Es el orgullo de la ciudad! ¿Tienes pensado alojarte en KIKOPARK Oliva durante el mes de junio? Entonces no te pierdas las fiestas de San Juan. En honor al día más largo del año y al inicio del verano, los residentes encienden una gran hoguera en la playa y sueltan farolillos. Este inspector visita cada año al KIKOPARK y lo inspecciona considerando más de 200 servicios y otros aspectos importantes. El inspector es un trabajador de ACSI y no trabaja para el camping. When we arrived we were given a map and of the site with pitches available, I had handed my ACSI card over at this point. I asked if they were all the same price and she said that they were. We eventually chose a plot that would be ok for us, most of the pitches were taken by long term German people. We don’t have an issue with that but they had seemed to taken over the site a bit. We came back to Reception to book our plot, to then be told that the pitch we had chosen was actually more even with ACSI! Also read the small print as you get charged extra for using over 4 amps of electricity a day, so be warned. The pitch Behind us had a Number of visitors and Were noisy until quite late. They then would meet then next night at another plot, and could be heard as well. The dogs barked a lot from the apartments most of the night as well. Disappointed that the swimming pool was not open to use as it says in the site details that it’s open with full facilities all year. The drains by the toilet block smell very bad. So don’t take a pitch anywhere near them. On the plus side there was lashings of hot water. We were initially going to stay 2 weeks, but had enough after 5 days. The beach is beautiful as is the marina restaurant. Stayed 3 nights on this campsite. Upon arrival we were provided with 3 pitch numbers that were available at the Camping Card discount rate and asked to take a look and choose one. We were told that any of the other vacant pitches were available at a supplement (still discounted). We were very happy with our chosen pitch and didn\'t feel the need to upgrade. The site is right on the beach and also next to the marina. We loved the location. The site has 3 eateries but the main one had just closed for the winter. (mid Nov.) We did eat at the other two and the food was fine and reasonably priced. We were close to two shower blocks. One was far superior to the other. The best one needed access codes which weren\'t actually given to us by reception so maybe they weren\'t for us Camping Card commoners, but a nice couple on the next pitch gave us the numbers. We visited Oliva Village on the Saturday which is market day, its a 30 minute walk away. Lidl\'s supermarket is about 15 minutes walk from the site. My wife loved this site and we will definitely stay again next year, possibly for a whole month. What a lovely friendly , clean , well payed out site perfect for the beach beautiful restaurant friendly staff , great office staff ther is nothing this site could do to better itself , will be returning again in August Sept this year already visited once this year and in previous years . Perfect . The reception is very swish. Unfortunately this didn't carry through to the facilities. These were OK, plenty of hot water, but tired looking. The restaurant was shut and the snack bar had only two items on the menu per night. We arrived on Thursday but the well stocked shop was shut till Friday morning. The campsite was a building site with lorries dropping off blocks and workmen road building. The adjacent beach was full of dogs. I'm sure this campsite would be great in early summer but I don't think we got value for money on our visit. We visited this site in September for 2 nights, the pitch we were given was very tight to get our 7.5 metre Motorhome into so our van got scratched. The toilet and shower blocks are in need of refurbishment and the drains smell. The pitch itself was great for ehu waste and water direct to MH. The beaches are stunning and only a few steps away from the pitches which makes this a great place to come if you are a beach lover. The cafe on site is small but there are loads of lovely bars, cafes and restaurants within a short walking distance. Stayed 4 nights. Very tight entrance and small pitches behind sand dunes. Shower block tired needs refurbishing for the price overall expensive. Sandy pitches in fact sand every where the van was covered after our stay. Small campsite shop with Oliva not far away, reasonable cycling routes. Got a shock when I checked out, the price of the metered Electric which I never checked. Paid wifi 12 euros for 3 nights. Would not return, too close to the sea & wind. Difficult entrance. No security at night no gate to site. ¿Desea reservar u obtener más información sobre su camping KIKOPARK? Puede hacerlo mediante los datos siguientes o a través de la web del camping. AP7, sal. 61. Por la N332 hacia Oliva. En el 1.er semáforo y rotonda, a la izq. Después señales "Platges" y seguir señales cp. 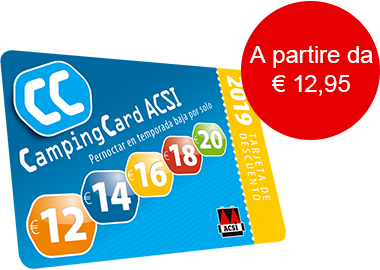 ACSI Eurocampings reenvía su solicitud de información al "KIKOPARK".